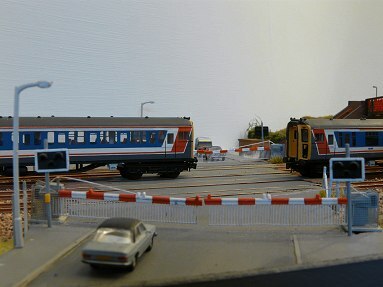 Way back in 2006 we reported that Andrew and Simon Tucker's excellent N gauge Southern Electric layout St. Deny's was being extended to include Bevois Park. Well a lot of work has gone on since then! The current status is reported in Live Rail 231, however above are two colour pictures taking us back, in 2mm scale, to the wonderful Network South East days.